BEIJING — China will balance reform and development well and avoid massive layoffs while cutting overcapacity, Premier Li Keqiang said on March 16. China is determined to press ahead with its reform agenda, and reform and development are not in conflict, as pursuing structural reforms can further release market vitality and drive economic growth, Premier Li said at a press conference following the conclusion of the annual parliamentary session. Premier Li pointed out some sectors are burdened with overcapacity, especially in heavy and petro-chemical industries, and China has selected the steel and coal sectors to start cutting overcapacity while avoiding massive layoffs. In the past two years, China has phased out over 100 million tonnes of steel-making capacity involving some 1 million employees. With high priority given to the rights and interests of enterprise employees, the government has taken strong steps to resettle these people or get them reemployed with other jobs. 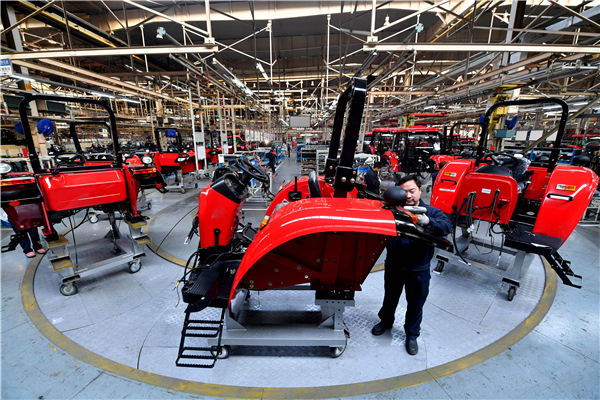 “In a word, we will press ahead with cutting overcapacity while avoiding massive job losses,” Premier Li said, adding that central and local governments have the resources to help the laid-off employees. To cushion the effect of job losses on families and society, the central government decided to allocate 100 billion yuan ($15.34 billion) to help the laid-off workers find new jobs. The fund can be increased if necessary and the local governments should do their own job accordingly, according to Premier Li. China is seeking a balance among cutting overcapacity, boosting growth and steadying employment, and a win-win situation will be achieved to bring about the sound and sustainable development of heavy and petro-chemical sectors while cutting overcapacity, Premier Li added.